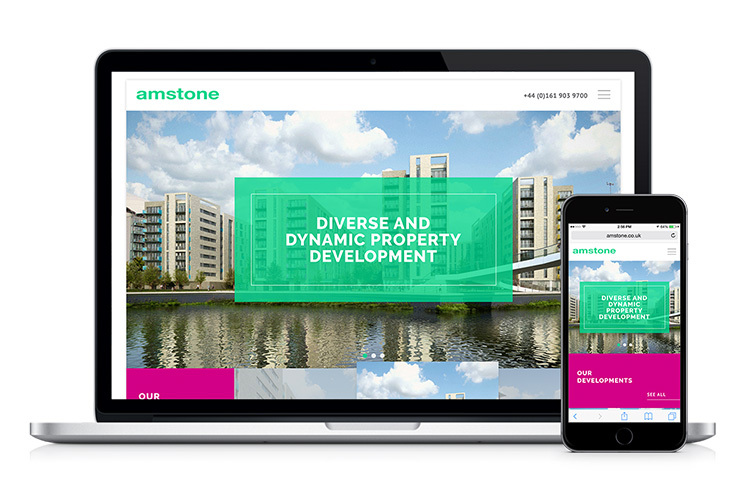 Property development group Amstone has been a Kiosk client for over ten years, dating back to the company’s UK origins. Based in Cheshire, UK, the company manages a portfolio of over $100 million in investments across the UK and Germany. We were recently called upon to give the Amstone website a responsive-design make-over, giving it mobile-friendly features that make it more useful to their clients and potential customers, and a lighter new color palette that works well for mobile. The site also highlights the work the Amstone Charitable Trust does both with local charities and internationally. It’s been exciting to see how Amstone has gone from strength to strength over the past decade and a pleasure to continue a business relationship with this conscientious and community-minded client.